Treat your Christmas guests with truly unique desserts this year. Alongside the pumpkin pie and sugar cookies, whip up some tasty holiday beverages in your all-purpose blender. Forget the houses and men and enjoy your gingerbread through a straw. Combine 4 cups of vanilla ice cream, 2 1/2 cups of whole milk, 3 tablespoons of ground ginger, 1 cup or sugar or molasses, 1 teaspoon of cinnamon and a splash of vanilla extract in your blender and mix on HIGH until smooth. Like a ginger bread house, the best part of making a gingerbread milkshake is decorating. Rim the glass with crumbled graham cracker, garnish with gingerbread or ginger snap cookies and top the whole thing off with a bit of whipped cream. This milkshake is rich, but delicious. Experience gingerbread a different way this Christmas. The easiest way to prepare this rich eggnog treat is to simply blend 3 parts eggnog with 1 part vanilla ice cream and serve with nutmeg and cookie garnishes. But there are also ways to make your own eggnog in the blender with eggs, sugar, milk and cream. Nothing tastes more like Christmas than candy canes. Take 3 cups of peppermint stick ice cream, 2 cups of milk, a dash of peppermint extract and mix them in your blender jar. Blend on HIGH, serve with whipped cream and sprinkle crushed candy cane on top. This milkshake is a refreshing, minty treat that you can customize by adding chocolate ice cream, chocolate chips or other goodies to make it all your own. While there are plenty of rich, creamy holiday drinks perfect for a cold winter night, a fruit-filled smoothie can be a much better pick-me-up come Christmas morning. Mix 1 cup of orange juice, 2 frozen bananas, 1/2 cup cranberries, 1 cup frozen berries, 1 tablespoon maple syrup, ice and a scoop of Greek yogurt in your blender. Blend until perfect then pour and serve. Feel free to add your own favorite fruits to this vitamin-rich recipe. 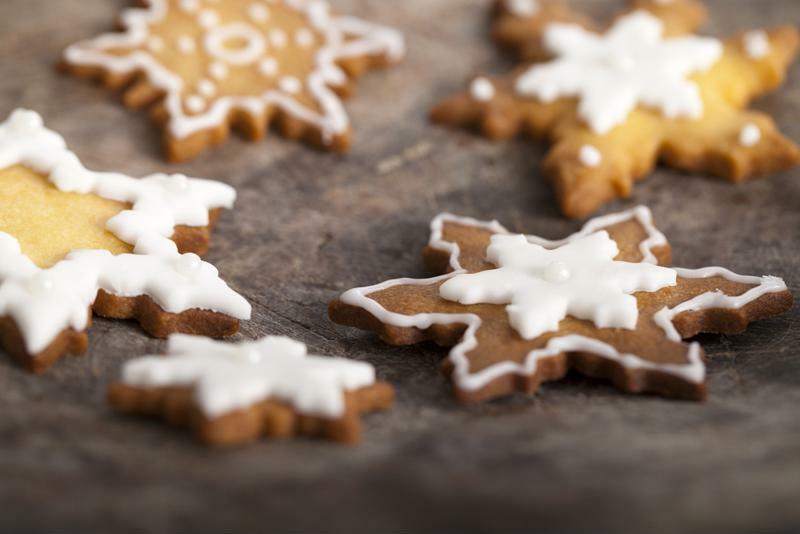 We've rounded up three delicious recipes for baked treats that will steal the show at any party. Treat the wonderful mothers in your life to a lovely Mother's Day brunch.